I can't believe that it's already 2016! 2015 has been a difficult year and I'm sure I'm not the only person to say thank goodness it's over with. While 2015 brought a lot of great things (the birth of my 2nd daughter was the highlight of the year), it also has been filled with disappointments and sickness. Sadly I've had to neglect the blog as I've felt overwhelmed with looking after 2 children and trying to run a household. In the last few months I've really changed my mind on my beauty collection. 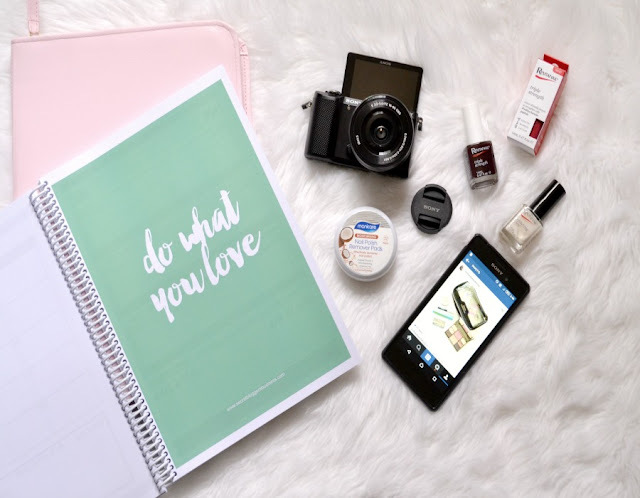 Instead of having 500 products that I barely use, I want to have a smaller collection of products that I use often and really love. I've thrown out A LOT of older beauty products and given away a lot of unused products to charity to help strip back my collection. 2016 will be the year of "use more, buy less." I want to continue to reduce what I have this year. In 2016, you'll see a lot less hauls. I want to only buy 1-3 really good products each month instead of 20 ok ones. The only exclusion for this rule is dry shampoo, as I go through one every week or two. For every beauty product that I buy i have to throw one out. I want to wear more colours this year instead of sticking to my usual neutral make up. I'm great at cleansing my skin and using sunscreen and a serum everyday, but I'm hopeless at using a face mask weekly. I also want to use an eye cream every day instead of using it for a week or two and then skipping it for a few weeks. This year I'll be consistently posting every Tuesday and Friday. If I have extra time there will be an extra post on Sundays. I'm wanting to have more content on my social media, especially Facebook and Instagram. I'm going to be putting more effort into having different content on my Insta page (more of my life, rather than just beauty) and stick to just beauty on my Facebook page, rather than posting the same picture to both channels. I sometimes don't think that my blog feels like "me" and in 2016, I'll be sharing more of my world with you. I really love photography but struggle to take enough time out to really play with my photography. This year I want to put aside more time to be more creative and adventurous with my blog images. 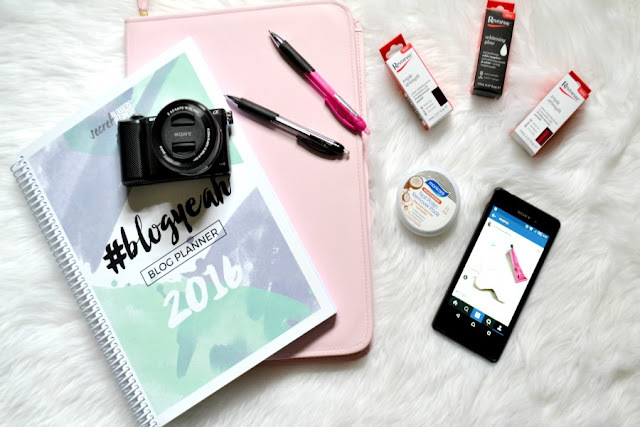 Do you have any beauty or blog resolution for 2016? Great resolutions!! Mine are the same as the past few years, reduce my stash, exercise, eat healthy, blog more and save more. I will also be spending less too! :) *fingers crossed*! Saving this month is so hard with so many amazing sales!! Priceline is a very tempting place. Especially when they have sales!! Those are some good resolutions!! My blog was pretty much neglected all of 2015. For me, the motivation wasn't there and I just kept procrastinating. I'm hoping for 2016, I'll blog once a week with better content too. It's nice to hear that you're not the only one who struggles to put out content :) I think for anyone who doesn't do blogging as a full time "pays the bills" job, there's a lot of work for something that doesn't give a lot back.